Today marks a brand new challenge over at Creative Knockouts and this week we would love to see all of your "Friendship" cards. This is an excellent chance to make up some "just because" cards or even some cards just to say hello and "your friendship is appreciated." Our sponsor this week is Broken Fairy Designs and they have some wonderful images to choose from so make sure to head on over there and take a look. For today's card I decided to use the Morning Latte image and as soon as I found this image my brain starting creating some wonderful ideas, however then I became distracted by Jennifer McGuire and this is the card I created. Now as you may, or may not, know Jennifer has some wonderful tutorials up on her blog and this one is no exception. For this card I decided to use a die technique where you get out your stacking dies and start layering them on. Stacking dies are a great tool to work with because there are so many things you can do with them. 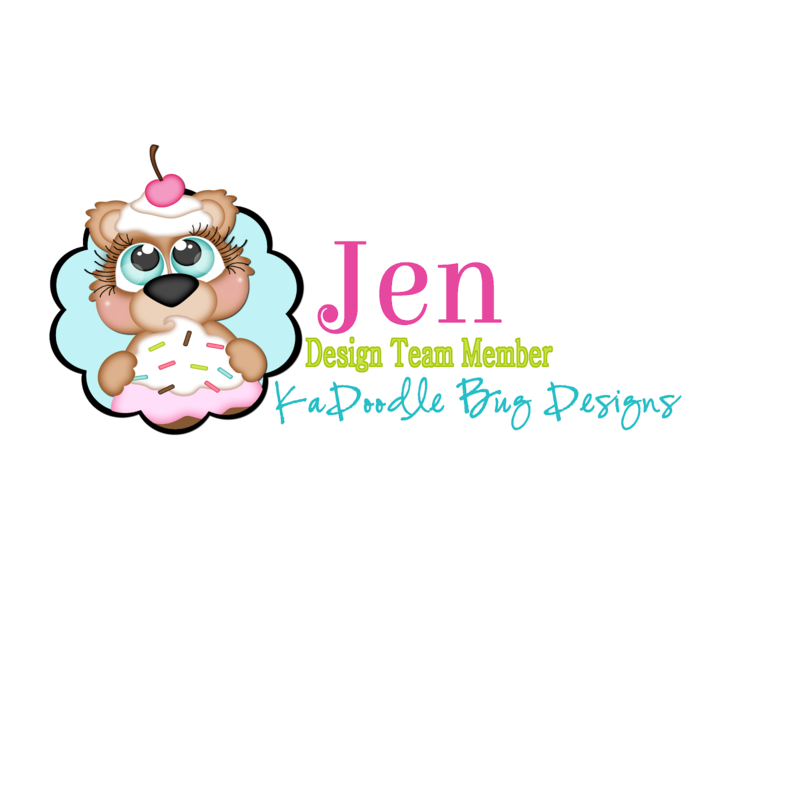 If you are interested in seeing Jennifer's video you can check it out here, as always she shares a number of techniques including the one I used. In order to make this card I cut out five different pieces of solid colored cardstock using my stacking dies. I then pieced together the different papers to create the look you see above. Again Jennifer's video go into detail on this technique so I am going to keep it simple. I then printed off the image from Broken Fairy Designs and colored it in using my favorite Shi Han markers. I decided to layer this image using some espresso and tan paper, just to give the image some support against those dies. All of the embellishments came from my stash including the sentiment, which is actually a cut up pocket card. Thanks for stopping by today. 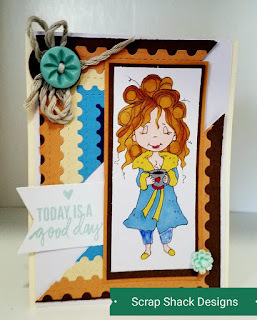 I hope you were inspired by my project and I hope that you come on over to Creative Knockouts and play along with our challenge.